Written by TCKC	in News. The pool hire fees increase again in Jan 2017, but we are able to hold the term’s subs at £40 per person, same as the current term. Could you confirm to Graham if your team will be returning in 2017 . . . it would be lovely if you could present him with your team’s cheques for Spring on your last session in November. Cheques handed to Graham in November won’t be banked until your first session in January. James sorts out the league games and is posting each week’s league game results on www.tckc.org.uk. To view the results table, look under Club Sections / Canoe Polo / Premier or Development League or try these links. With 2 sessions remaining this term for both leagues, there is still plenty to play for . . . and lots of cheering needed from the spectators! Presentations will be made to the winners of each league on 20 and 27 November respectively. 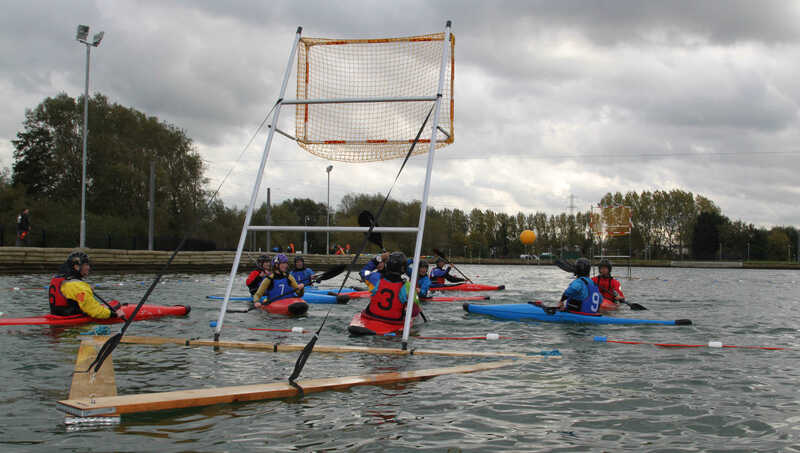 If your team would like some extra canoe polo tips or feedback on play, just speak to the coaches or referees before your game. Dave and Graham have suggested running a canoe polo session for parents / helpers on Sunday 4 December. We’ve done this before and it’s been a great hit! The cost is likely to be £5 towards the pool hire, provided we get enough people to join in. I need to know very soon in order for a lifeguard to be rota’d in, so please email me your name and I’ll liaise with Dave. No experience required – just come along and have a bit of a laugh.